Full Time Sole Charge Hunting Groom On Family Yard In Gloucestershire. This job is 5.5 days per week and will require the candidate to be able to do all usual yard duties and have an ability to turn out to a high standard. Must have experience clipping and and plaiting. Maximum of 5 horses in work. Competent rider needed to exercise horses and opportunities for the candidate to go Autumn Hunting, have lessons and also attend riding club.There is a holiday let on site and also bed and breakfast, so the candidate should be willing to help welcome guests if necessary when the yard is quieter. Ability to drive a 7.5 tonne lorry a bonus but must be willing to take test. Accommodation provided on site and all bills paid. For more details do please contact us. Holiday let and bed and breakfast on site, so candidate must be prepared to welcome guests in the months when the yard is quieter please. Modern one bedroomed flat on site and all bills paid. Opportunity for lessons, attending riding club, Autumn Hunting. 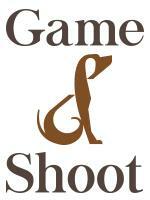 We are private family yard with five hunters currently in work and hunting 2-3 days per week. Driver an added bonus, we have a trailer and Non HGV Lorry. We are looking for someone who could take full charge of the yard, exercise and turn out to a high standard and ideally who has experience of hunting. Welfare of the horses is paramount. We have a well equipped modern yard with stables, drying room, all weather menage and fabulous hacking. In addition to the hunters we have an older retired eventer. My husband and I hunt. We also have two children in their early 20's who have largely left home and sadly do not ride. We run a small farm and run a bed and breakfast and holiday let business. We have dogs (2) ducks (4) and chickens (6) which we may need occasional help with as well as occasional help with guests. We look forward to hearing from you and do please call or email for more information.